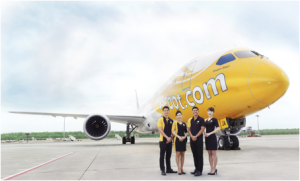 Award-winning value airline Scoot launches services from Singapore to Amritsar and Chennai, bringing exceptional value and Scootitude to guests as it spreads its wings to India. Scoot’s service to Amritsar commences three times weekly and will increase frequency with an additionalMonday service from July, restarting the Singapore-Amritsar route for the SIA Group. According to the International Air Transport Association (IATA), India is projected to be the world’s third largest air passenger market by 2031 with a total of 367 million passengers by 2034, an extra 266 million annual passengers compared to today.